And with that, a simple explanation for how Hercule (pronounced Air-kyool) Poirot is able to deduce mysteries so easily. He’s weathered by age, old enough to not be fooled through naivete, yet idealistic that he remains optimistic, perhaps even yearning for a world without the crimes he’s famous for solving. Based on the Agatha Christie novel, Murder on the Orient Express is the second theatrical adaption (and fourth overall) of the 1934 work. 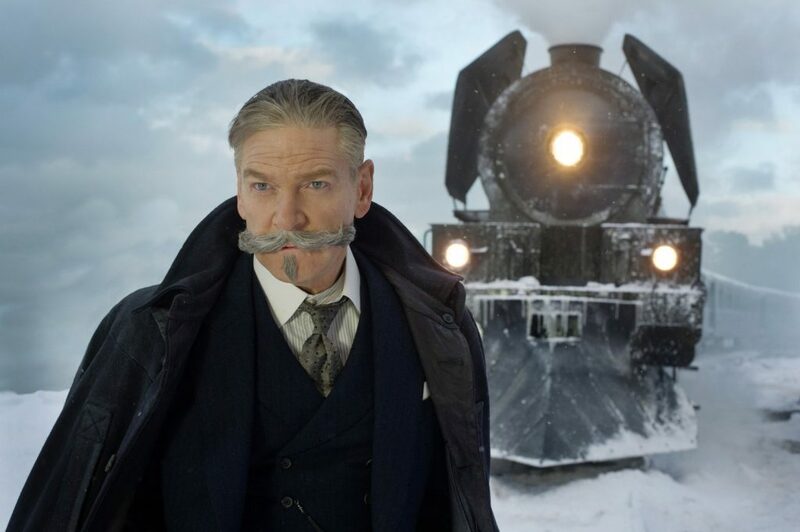 Featuring an all-star cast, the real star of the film is Kenneth Branagh’s (Poirot) mustache. It’s absolutely magnificent. The film itself is an homage to the classic whodunit works that captivated audiences years ago, and recently made a bit of a comeback with the Sherlock Holmes films. Set on the eponymous train, the plot of the film revolves around Poirot attempting to discover the murderer of Samuel Ratchett (Johnn Depp), a somewhat shady American businessman who had previously attempted to hire Poirot to be his bodyguard. 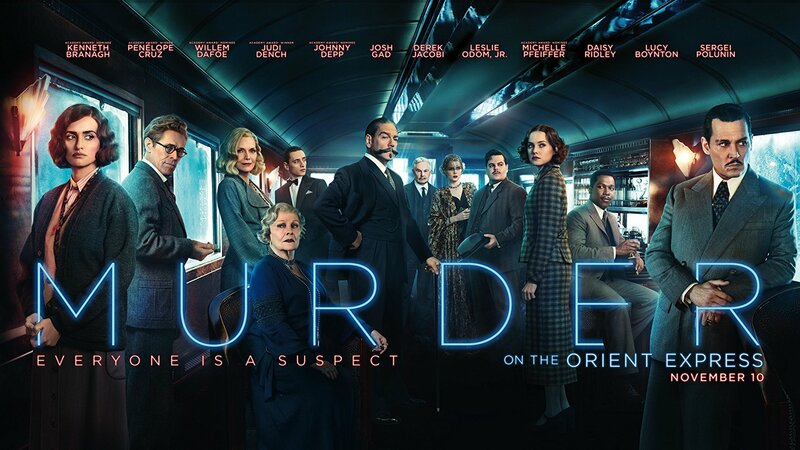 As the train was snowed in by an avalanche, Poirot concludes the murderer had to be someone already on the trade, and he methodically works his way through the list of passengers, a seemingly innocuous group of strangers who turn out to be more suspicious than he first thought at first glance. As a word of caution, if you haven’t seen the original film or read the book, I strongly discourage you from doing so before going into the theater. I’d seen the original film, and it’s a rather faithful adaptation in terms of plot and conclusion. While you can certainly enjoy the film otherwise, I think it would have been more fun going in blind. Having said that, I give Branagh credit for the job he did, as well as the cast and crew. The film is beautiful, from opening shot until the last moments of the Orient Express chugging along on its tracks. Amidst perpetually gorgeous backdrops, the mystery is unfolded quite well by the ensemble cast, including Judy Dench, Josh Gad, Michelle Pfeiffer, Penelope Cruz, and Willem Dafoe. Each is given a limited amount of screentime, which is one of the minor quibbles I have with the film, but for the most part their performances are solid and progress the plot decently enough. The few scenes with Depp and Branagh stand out. Although I enjoyed the film overall, it’s not without its flaws. Aside from the aforementioned limited screen time for most of the ensemble, there are also a couple of plot holes that aren’t easily explained. They’re not enough to ruin the movie, but they do make the viewer ponder some hypotheticals. Additionally, I also felt Poirot’s character got progressively less interesting as the film went on. Initially, we’re treated to his curious quirks and amusing methods of interacting with others and solving crimes, but as the film progresses he loses these quirks and simply becomes another incredibly acute, hyperknowledgeable detective in the mold of Sherlock Holmes, able to observe the most minute detail and recall incredibly esoteric knowledge. 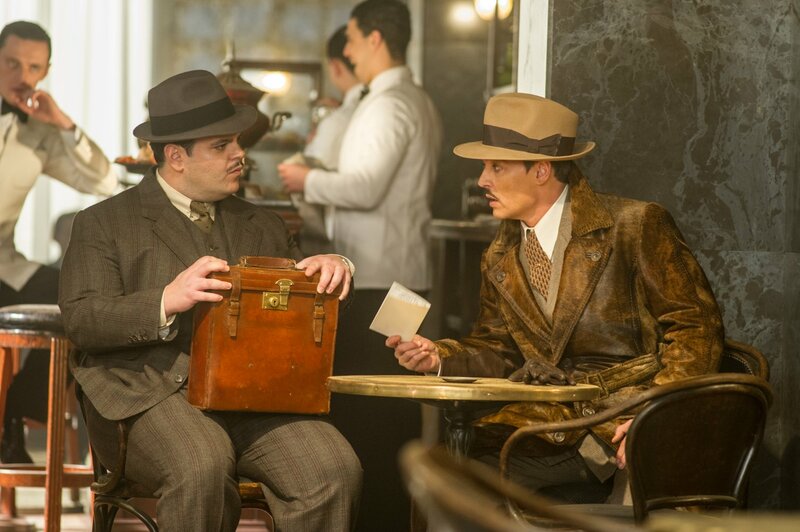 Still, if you enjoy murder mysteries, Orient Express is a solid, entertaining 2-hour romp. 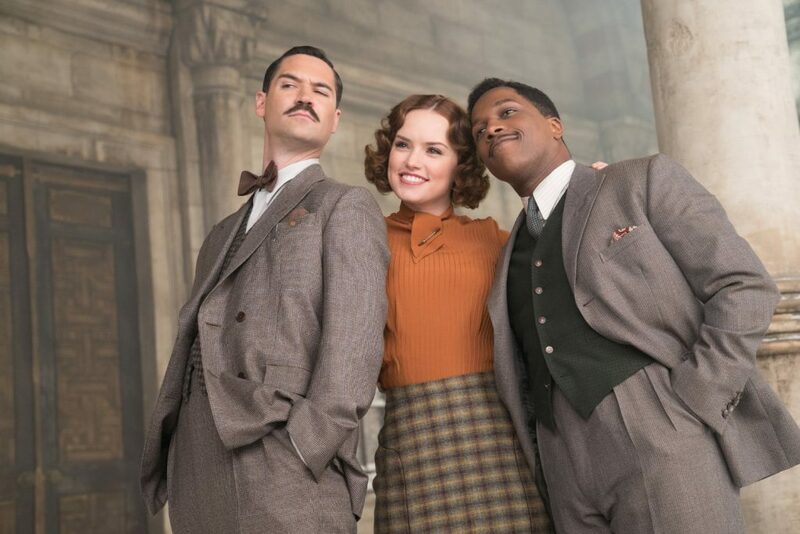 There have already been discussions of sequels, and if this is any indication of how they might play out, I think we’ll be seeing more of Poirot and his mustache in years to come.